LTG’s founder, Dr. Albert Klein, was a pioneer in systems for supplying workplaces with fresh air and improving process conditions in factories. 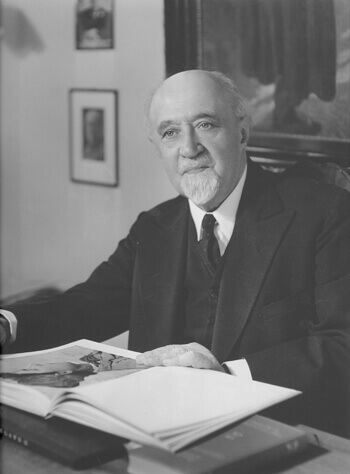 In 1924, upon his return from the USA, he founded the company Cärrier Lufttechnische Gesellschaft Dr.-Ing. Albert Klein in Stuttgart: at the outset this was an engineering consultancy concerned with air processing, a technology about which very little was known in Europe. The first systems for creating a uniform climate led to significant savings in production processes. They were initially put to use in the automotive and tobacco industries, and later also in the textile industry.